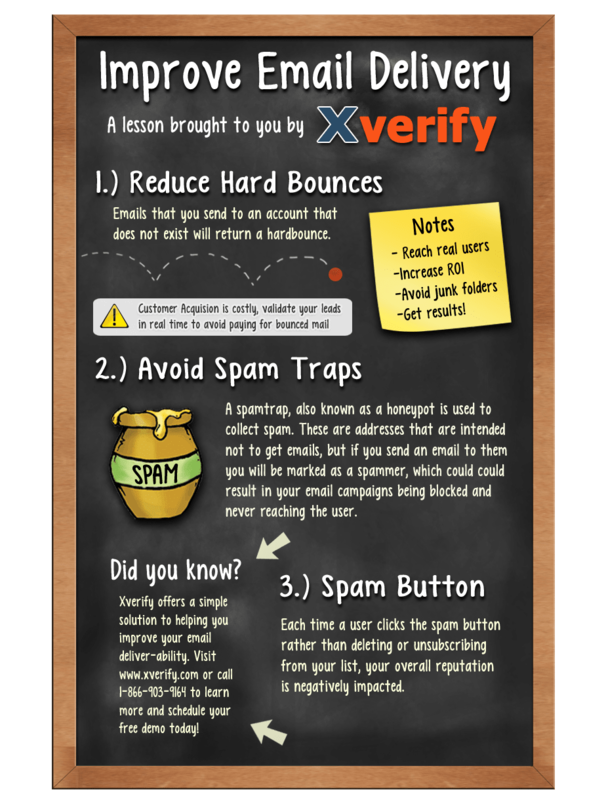 As shown in the illustration above, using Xverify brings many benefits to the table. If you are in the business of email marketing you are aware that it is a common struggle to make sure the email is delivered right to the inbox of your users. In order to better protect you, we have built-in fraud detection which checks to make sure email IDs entered into your registration path are no temporary accounts, potential spam trap email accounts, or users who are likely to click “Spam” on the email communications you send out. Don’t forget we also have the ability to do social data lookups. If you choose to use our API or even our batch upload service we can check each email ID to determine if it is active on a social network. If it is active, and the user has a public profile we can report back to you the user’s name, age, gender and location from the one API call.